It’s been a crazy week with some incredibly tough and important games. We can be proud that our boys managed a result in all 3 of them, even if the 1-1 draw in this game wasn’t the result we were looking for. The game really could not have started better for us, which has been a bit of a theme lately. We played well to start, and it didn’t take long to break through. Brosque received the ball from Caceres, who was driving from deep. With a defender and the keeper still to beat, our captain slotted it past Janjetovic to put us 1-0 up over our cross-town rivals. Brosque is always up for the derbies and this one was no exception. With the latest news about his retirement, we are really going to miss him. Throughout the early part of the game we were dominant in possession, however we really weren’t able to capitalise on it that much. We looked quite slow throughout most of the game, perhaps a result of playing 3 games in a week. Western Sydney, however, were able to really use their possession well. Late in the half we had a real scare as Western Sydney had a double chance that almost got past Redmayne, but a terrific double save denied Western Sydney. There were plenty of chances going against us but our rivals never had their shooting boots on. We were content to sit deep and not really push our advantage throughout much of the first half and so we went in only 1-0 up but not looking confident. Brosque came off at half time, with Reza replacing him. Reza was constantly darting around the box, and would have a couple of good chances, but wasn’t able to put it into the net. He has come close a few times and has one goal to his name, but it is getting a bit worrying how little he has managed to assert himself. Regrettably, it was Western Sydney who were able to use the ball when they had it. After looking threatening from set pieces all game, it was finally a deflected set-piece from Baumjohann that saw the ball beat Redmayne to tie it all up 1-1. No one can really take the blame for this one going in, as it is just one of those freak things that happens. 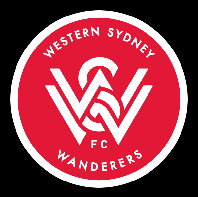 However, throughout the whole game we gave up far too many easy fouls, and in many ways this was just what Western Sydney wanted from the game. The game really didn’t offer too much for spectators after that until right near the end. Our defenders both performed admirably and Redmayne did what he needed to do. The ending, however, had everything. Both sides attacked hard in a true end-to-end performance. Le Fondre came within inches of curling the ball past the snake to secure the game, but it didn’t work. Up the other end, Majok had a great chance that he didn’t do enough with and thus the draw was intact right up to the end. With that the game was done with neither side probably feeling satisfied or entirely upset. Our dominance of this fixture remains unbroken and this city remains ours. The Cove deserve huge props for out-singing the scant remnants of the RBB who bothered to turn up. Our set-pieces need work, both defending and attacking. We had 9 corners this game and, honestly, I’m not even sure we came close to scoring from any of them. We took a number of them short, where we have looked somewhat better this season, but even those didn’t pay off. Our other corners were largely looped in and easily dealt with. Up the other end, we looked shocking defending corners and free kicks. We struggled to clear the ball pretty much every time and it was only bad finishing that saved us once or twice. Going into the finals, we have to hope that we can improve this aspect of our game at both ends of the park. Brosque’s goals will be sorely missed. This one may seem obvious, but to provide some context: he doesn’t just score goals, but he also scores key goals. This season, he has 7 A-League goals and by my calculations he has won us 5 points with those goals. He scored the hat-trick against Central Coast in a 5-2 win (including the 3rd goal) and he scored our only goal in 1-1 draws against Newcastle and then in this game. Not only that, but he scored the 3rd goal against Shanghai mid-week which got us a point and he scored our 3rd and 4th goals against Rockdale in the Round of 32 of the FFA Cup (a 4-2 win). These game winning goals are going to have to be replaced somehow next season. Looking for Le Fondre to pick up wide balls doesn’t really work. So we have played basically this whole season with 2 strikers, but quite often one of them two will drift wide to pick up balls while the other goes for the box. Most often, Le Fondre will be the one who drifts wide and then looks to cross in. Unfortunately, he also happens to be our most clinical player and he is often left with too few options to aim at. What we really need is a bit more pace out wide to provide this option. Buhagiar was most likely supposed to be this option, but his injury foiled that plan. Either way, someone like Ivanovic might prove useful to free up Le Fondre to sit in the box. Alex Brosque is the first person to score for Sydney FC in 3 straight derbies. This was his 6th goal against Western Sydney. This was Brandon O’Neill’s 100th A-League game for Sydney FC. Western Sydney have now only won 1 of the last 17 derbies. Their most recent win as in February 2017 and you have to go back to January 2014 for their previous win before that. Note: Appearances and goals only include league games, finals, FFA Cup, OFC and AFC Champions League and Club World Cup.